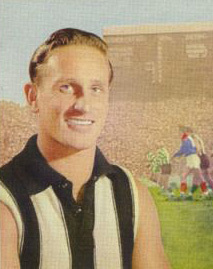 Jack was one of the best full-backs that Collingwood has had since World War II, he unluckily missed the 1953 Grand Final after breaking his scaphoid bone in the round 14 clash against Geelong, four weeks before the start of the finals. Hamilton was a tough and ruthless fitness fanatic who was one of the first players of his era to lift weights as a way of improving strength. He later went on to a career in football administration, becoming chief commissioner of the VFL in 1984. He was killed in a car accident in May 1990, the year in which Collingwood would finally break their 32 year premiership drought. 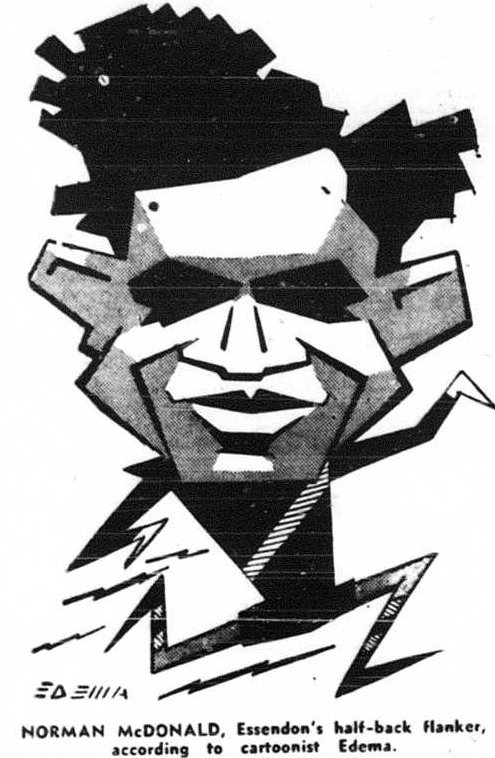 ‘Mocha’ played in the forward line for most of the 1953 season, although he was said to be quite an unreliable shot for goal. He scored 22 goals for the season out missed the finals due to an injury sustained in the final home & away match against Footscray. He also missed rounds 2- 5 with injury that season. 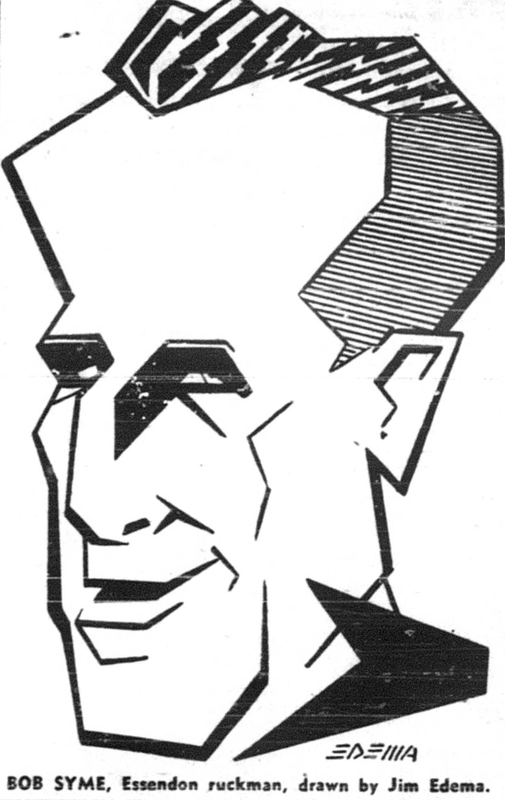 Maurice Dunstan is perhaps best known for having a son, Ian, who played 172 games for Footscray. Jack Hickey was dropped from the side after the semi-final win over Geelong after playing 17 games for the 53 season. 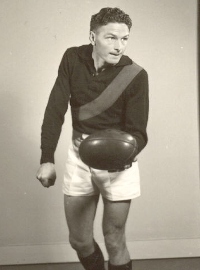 Dave Little came to Collingwood from Korrumburra at the beginning of the 1953 season with lots of hype that he never lived up to. He played only 3 games in 1953. 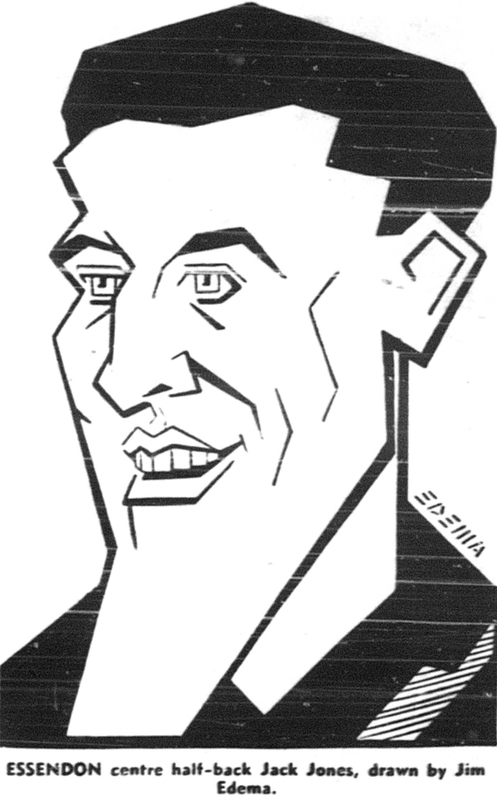 Peter Lucas missed both the 1952 & 53 Grand Finals through injury. He was a fine half-back-flanker who could block the most talented forwards in the VFL. He was not very flamboyant but he was consistent. 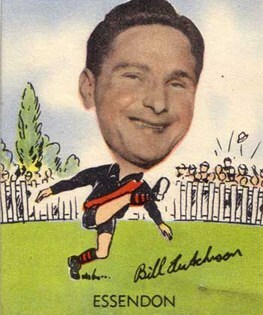 He played in the 1958 premiership team. Was a defender who played either back-pocket or centre-half-back. Kicked all his career goals in 1953 when he was shifted to the forward line in Bill Twomey’s absence early in the season. The youngest player to ever play league football when he debuted in round 17 against Richmond. He was just 15 years of age. Only game was the 1953 ANZAC Exhibition Match against Fitzroy. There is no evidence of him ever playing a senior match. The headline at the Argus summed up the result of this clash very nicely: “Don ‘Tornado’ Hits Collingwood”, as Essendon defeated the Magpies by 28 points, thanks to a 6 goal haul by John Coleman.